DISCLAIMER: THIS ARTICLE IS FOR EDUCATIONAL PURPOSES ONLY. PIRACY IS AGAINST THE LAW! So you jailbroke your iphone/ipod touch and modded it to your hearts content, now what? One of the biggest reason why people jailbreak their device is to get free apps which will eventually make their purchase worth the high price they paid for the hardware. In this article we will look at different ways to get these "free" apps and how to install them in your device. YOU NEED WIFI FOR THIS. 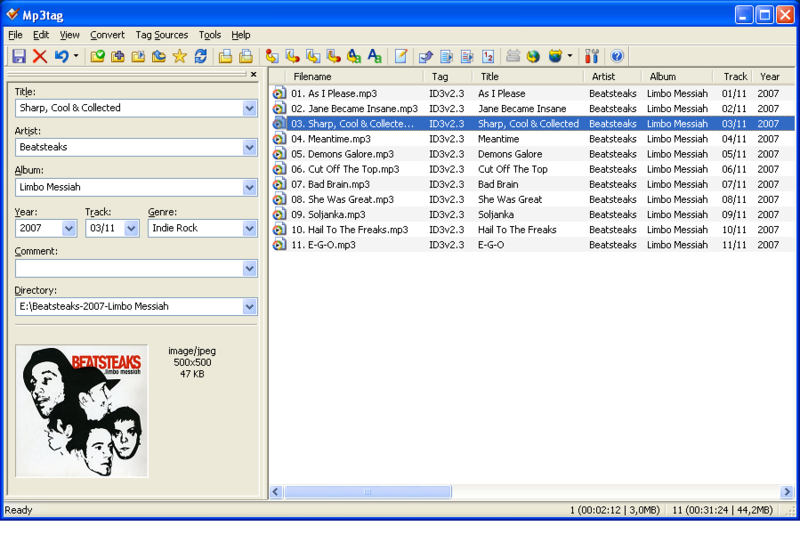 This is the latest version of Installous as of February 2011. Before doing anything, tap on the Settings option. Turn on Install automatically, delete automatically, and Itunes sync so that the apps will install itself right after downloading it. You DO NOT need the installation file after installing the app so you need to delete it to save space UNLESS you want to share the installation file to your friends or keep a copy if ever someone accidentally deleted the app. Installation files are not needed after installing the app so automatically delete them. 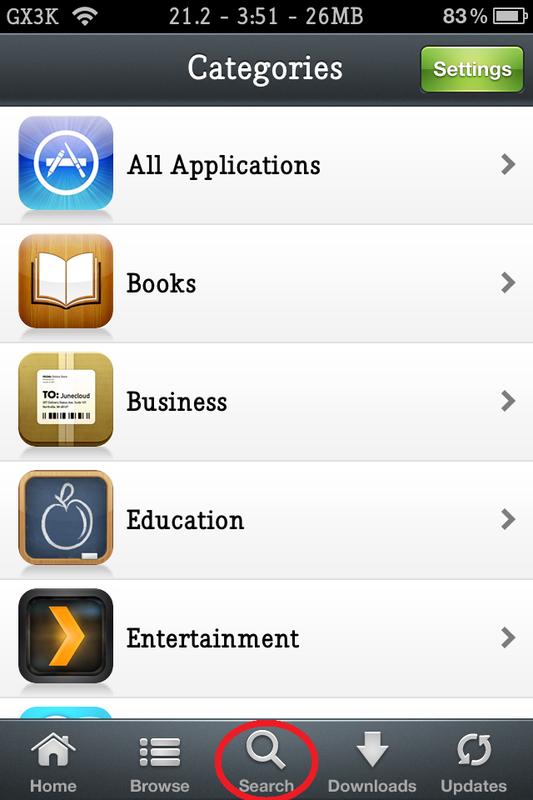 To find apps from Installous, you may browse the new apps or do a search. The list is arranged chronologically so the latest apps and updates are listed first. Make sure you type the correct spelling of the app you're searching to get the result you need. Sometimes there will be error messages like "IPA not Found", this means that the app you are looking for does not exist on the database (check the spelling) or the server is down (try again later). If "IPA not Found" check the spelling for Search or try again later. Server might be down. 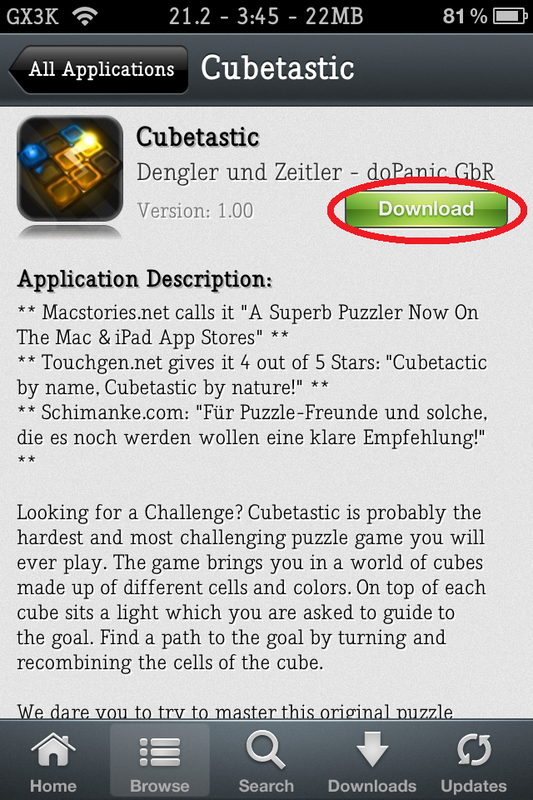 To install the app, just tap the download button on the upper right corner. You may scroll down for the app details and screen shots. The is an option to download the app later if you want and the cost of the app in the Appstore for information purposes. Downloading through Installous are "FREE" and will NOT charge you anything. You will not be asked about your credit card or Apple store log-in details so there is no way you will get charged. Price of the app might be listed when you scroll down but you DO NOT have to pay it. After tapping "Download" you will be shown a list of versions of the app and the different places where you can download it. The person who cracked the app is listed as well and you can also tap "Launch App Store" to open the app in the official App Store. Sometimes, some links does not work or the app installed does not work properly. In this case, try the other sites listed or use the app from another person who cracked it. If the app still won't work, try a lower version of the app or check for compatibility issues with you firmware. Try other links/versions if the one you used does not work. Tap "OR JUST DOWNLOAD NORMALLY"
Wait for the ads to finish loading. Tap the blank rectangle to input characters. Type in the Random characters and tap the Download button on the right. You will go back to the previous window if you got it wrong. Tap the blue underlined Download sign in the middle. 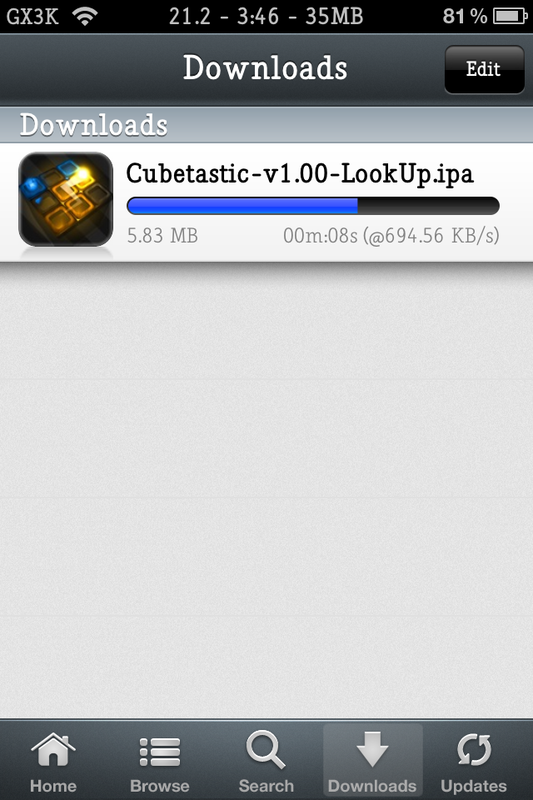 The download will start if successful. Wait for the download link to appear after the countdown. Tap on "Download Ready!". Zoom in to make sure you tap correctly. Just wait for the "Click here to start download.." to appear. If the you succeeded in starting the download, you will see a notification on the screen saying the download has started. Sometimes it may take a while for the download to start and sometimes it gives an error. You may check your internet connection if this happens and try again or try the other links. While downloading, you may go and look and download another app or tap on the downloads tab on the bottom to see the progress of your download. Here you may edit your downloads (stop or delete them) and see your previous downloads if you chose not to delete them or if they fail to finish. Downloads vary according to internet connection quality. Some apps get regular updates for better usability and bug fixes. You CANNOT update apps you got from Installous in the AppStore. You can update them from Installous by tapping on the Updates icon and the app will automatically search for new versions of your installed apps. Update is done by downloading and installing the newer version of the apps INDIVIDUALLY like the regular installation of new apps. DO NOT delete the apps you want to update. This will erase all your saved games. Installing a new version of the app will automatically overwrite the old one so there is no need to delete the existing app to update. 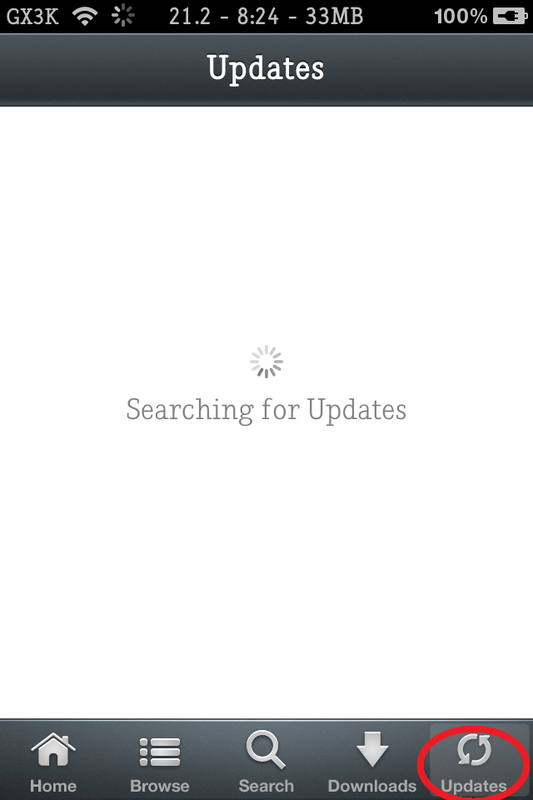 Installous will automatically search for updates. Check for updates regularly. You may have downloaded a corrupt file. This is caused by incomplete downloads or bad transfers. Your firmware version or device generation does not support the app. The latest update does not support your device. There may be conflicts with other apps installed on your device. The installation process might have been disrupted. 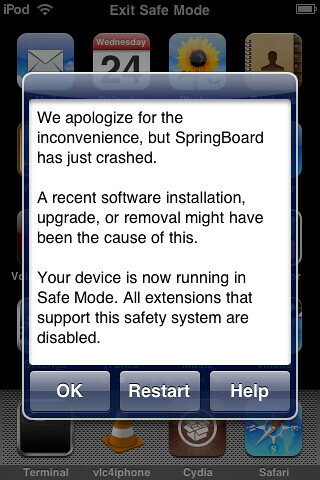 The developer found a way of stopping the cracked app to be installed in your device. Try the other download links. Try lower versions of the app. BUY the app in the AppStore. Click the image to see large size. B – This guide is for you so read on. C – Just use Safari browser on your device and go to jailbreakme.com and follow the instructions. Itunes is needed for activation. 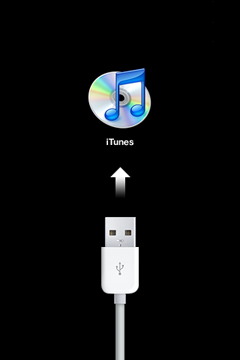 Once you have Itunes installed, connect your Idevice to the PC using the USB cable. DO NOT click yes to any pop-ups asking you to update the current firmware if you want to jailbreak your device. Also, DO NOT click on the update button on the itunes window. Check your software version, it should be 4.1 or lower for an unthetered jailbreak. This kind of jailbreak is the best because you wont need to run the jailbreak every time your device is turned off which is the case for tethered jailbreak. Do not click the update button if you want to jailbreak. If your software version is lower than 4.1, you may upgrade it by downloading the 4.1 firmware from this website and click the restore button in itunes while holding the left shift button. This will prompt you to choose the downloaded firmware and then wait for it to finish. 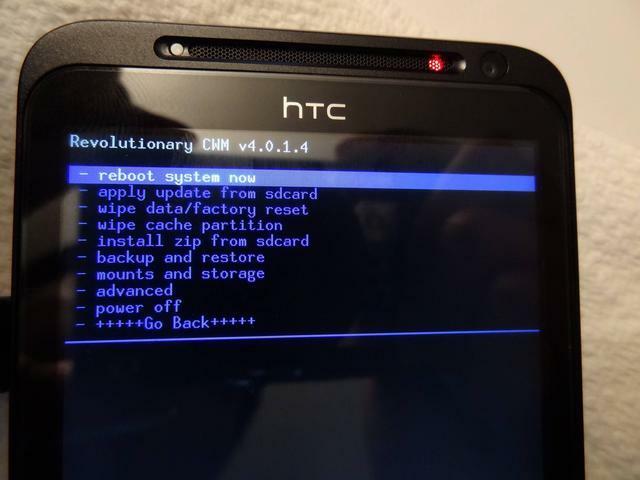 For devices having firmware 4.2 and above, you might try this method but success is not guaranteed. Just use the direct links on the lower part of the web page. Jailbreaking is completely legal IF used responsibly. You may read this article if you want to know more. Jailbreaking is completely safe. You may undo it any time you want and restore it to its original settings. Just remember to do it properly and don't tweak settings you don't understand so everything works as they should be. It will not leave any trace after you undo the jailbreak so no one will know if you jailbroke the device. Jailbreaking does not void the warranty. It is software modification and does not involve touching any hardware in your device. If you need to avail of the warranty from Apple, just undo the jailbreak and restore it to its original settings before sending it off for repair. Note that Apple might update your firmware and will hinder you to do proper jailbreak. You will still be able to access and download apps from the official appstore. Jailbreaking will not have any negative effects on apps nor will make your device laggy. 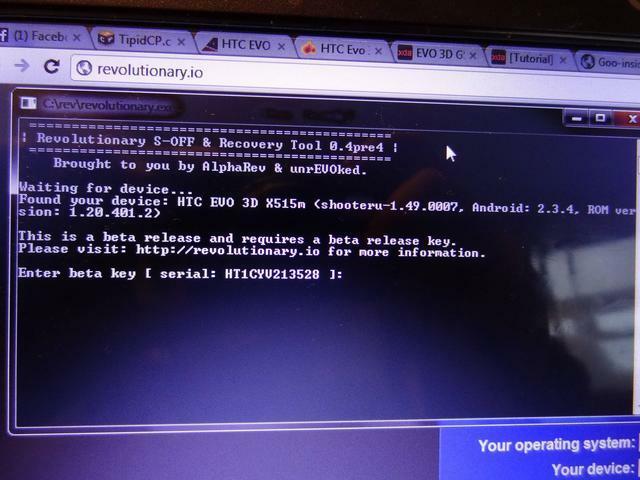 If your device exhibits any type of malfunctions, restore the device and redo the jailbreak. Choose your OS, download, unzip, and run the Greenp0ison jailbreak program. 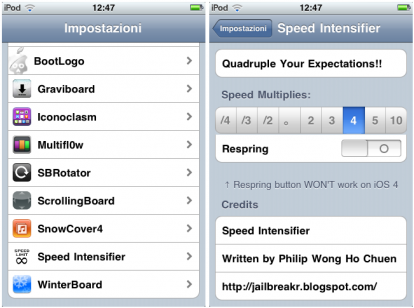 In this jailbreak, we will use the greepois0n method which you can download here. There are other methods available like limew1re and redsn0w but this is the one I have tried and tested so I am recommending this one. 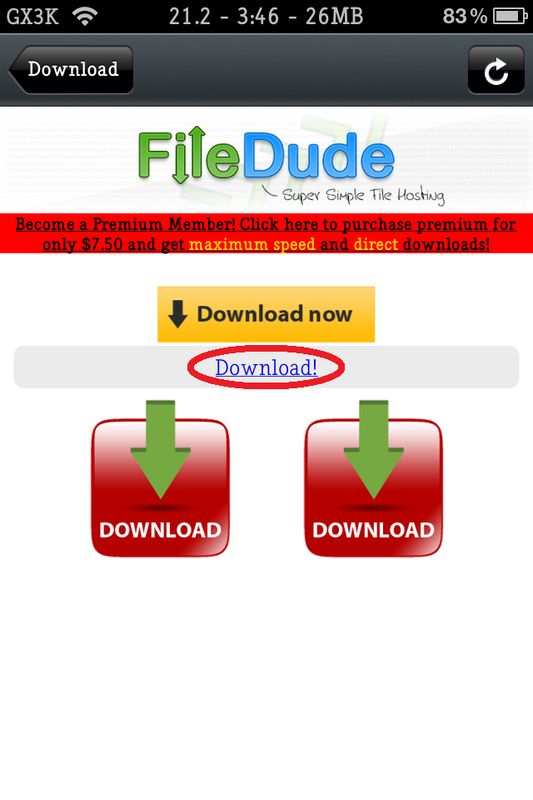 Just download it, then unzip the file, and run the program. Turn-off your device and connect it through the USB cable and just follow the steps that will appear on the program window. The sleep button is on the top of the device while the home is the round button in front. 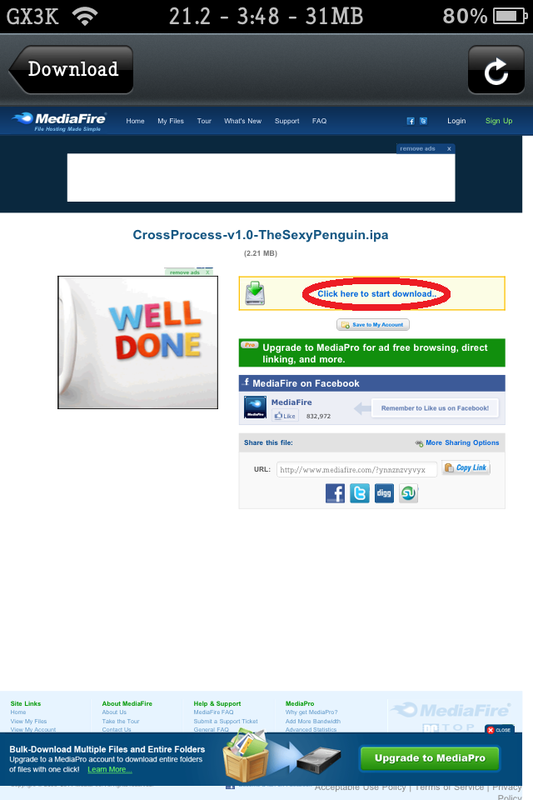 The program will automatically tell you if you are successful in each step. If you miss any of them, the process will be restarted until you get all of them right. After the steps, the program will do the rest and you can just wait for it to complete. After restarting, be sure that your device is connected to wi-fi (required). This is needed for getting Cydia by tapping on the new Loader icon. You will have the option to delete this icon as it will not be needed after you get Cydia. Wi-fi needed before opening the Loader icon. To check if your device is jailbroken, you should have the Cydia icon on your device. The first time you open Cydia, it will ask you what kind of user you are. Choose "developer" even though you don't make programs because it will list all the programs available which will be helpful in the next how to articles in this blog. If it asks you to make your life easier, choose OK. This will automatically sa your SHSH blob which will be needed for future jailbreaks. You may also notice that cydia loads several files every time you start it up. This is normal. You might want to stay away from itunes after the jailbreak because you might "accidentally" update your firmware which will erase the jailbreak. It may also delete apps you got from Cydia and other sources other than the app store. There are also instances when syncing becomes a problem as some additional features acquired from Cydia such as infinite folders and others makes the itunes confused. For a list of free (and more reliable) alternative programs click here. So what do you do now? There are lots of things you can do now that you've successfully jailbroken your device but first, its important to back-up your SHSH blob (aside from the Cydia back-up) for future jailbreaks. You can do this by using a PC program called Tiny Umbrella which you can get from here. There is another method that you can do directly from the Idevice. Just go to Cydia > Search and type iSHSHit. Install, run the app, and back-up you SHSH by emailing it to your email. iSHSHit for backing up your SHSH. What next? 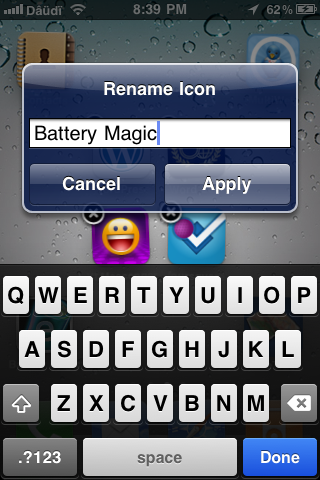 Get SBSettings from Cydia and fully manage your idevice. You can get it by searching it on Cydia like what you did for iSHSHit. You may read more about it here. Why not change the fonts of your device? Just read how to do it here. 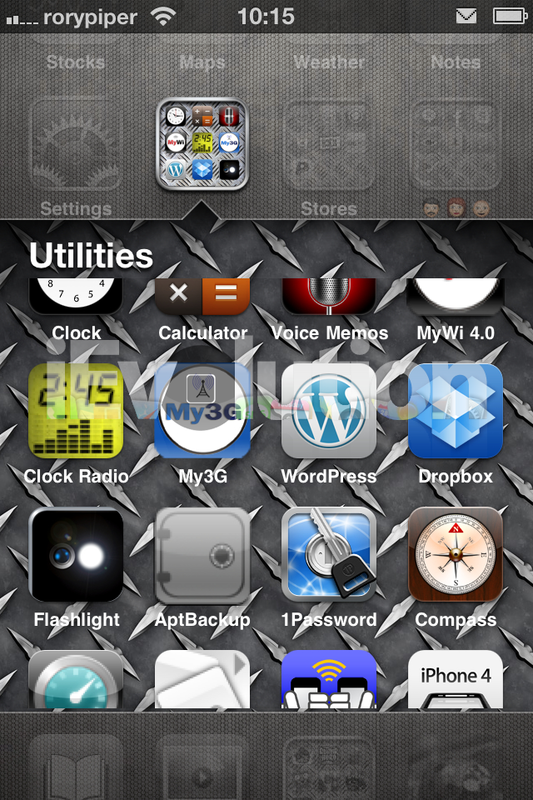 Lots of stuff for jailbroken will be added in this blog so don't forget to visit often. Cheers! One of the main things we choose iphones and ipods is for listening music. The ipod brand is synonymous to mp3 players and Apple claimed that iphones are the best ipods they've created so we expect to get the best quality audio experience. But how come some people are not happy with the sound quality? In this article I am going to discuss how you could make your iphone, ipod, or other mp3 players sound better. Bit rate - Put simply, this is the number of bytes used per second hence the kbps (KiloByte Per Second) unit. The more kbps we use, the more details of the sound can be stored so the output sound will be better. If the kbps is low, there is not enough room for the sound data to be recorded resulting to inferior sound quality. The higher the bit rate, the bigger the file will be. Usually, bit rates from 96kbps (FM quality) to 320kbps (CD quality) are used by most people. Sampling Rate/Frequency - This is the number of signal per second (in kHz - kilohertz) taken from a continuous signal. Common sampling rates are 44100 Hz (44.1 kHz) used by audio Cds and 48000 Hz (48 kHz) used by professional digital video equipment (tape recorders, video servers, etc). 44.1 kHz is advisable for it produces a maximum frequency of 20 kHz which is the highest frequency humans can hear. 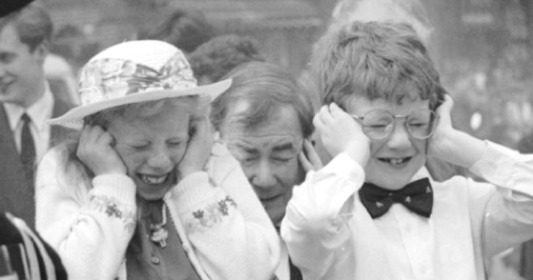 Moreover, as you grow older, the frequencies you can hear gets lower (many older people cannot hear above 14.5kHz) so going over this is not so practical. Lossless/Lossy Compression - Describes whether or not, in the compression of a file, all original data can be recovered when the file is uncompressed. Lossless means every single bit of data that was originally in the file remains after the file is uncompressed so this is the best format you can have for audio quality. Examples of lossless formats are FLAC, Apple lossless, and Lossless WAV. The downside of this is that the file sizes are HUGE and the processing needed to play them takes a lot more. Lossy compression reduces a file by permanently eliminating certain information, especially redundant information. When the file is uncompressed, only a part of the original information is still there (although the user may not notice it). They are more common as they are smaller in size and are compatible with more devices (mp3, aac, wma, ogg, etc). AAC (Advanced Audio Coding)/Protected AAC/HE-AAC (8 to 320 Kbps) - Better than MP3 at low bit rates (typically less than 128 kilobits per second) thus producing same quality sound in smaller file size. The higher the bit rate, the less advantage it has over mp3 and it is not as flexible or as popular. Protected AAC has restrictions such as can only be played in up to 5 PCs simultaneously, cannot be copied to another ipod with tracks coming from 5 different itunes account, etc. HE-AAC (High Efficiency Advanced Audio Coding) is optimized for low-bitrate applications such as streaming audio. WAV - Lossless format, high quality, compatible with most players but big in size. Can be compressed using different codecs but not as popular and as efficient as other lossless formats. Limited to 4GB in size. Cannot carry song details such as artist, cover art, genre, etc. Apple Lossless (ALAC) - Apple claims that audio files compressed with its lossless codec will use up "about half the storage space" that the uncompressed data would require. Limited compatibility with devices other than ipods. AIFF (Audio Interchange File Format) - An audio file format standard used for storing sound data for personal computers and other electronic audio devices. Being lossless and uncompressed, it uses much more disk space than MP3—about 10MB for one minute of stereo audio. Audible Enhanced Audio Format (aax, aax+) - Another not so popular format used mainly for audio books. MP3 CBR/VBR- Most common audio format for consumer media players. Very flexible (bit rate, sampling rate, tags, etc can be edited) and compatible with almost any player. Can contain tags such as artist, cover, art, album year, etc. VBR (Variable Bite Rate) MP3s is a type of MP3 where the bit rate is allowed to vary (meaning it automatically adjusts the bit rate for parts of the song that needs more detail/space) for more consistent quality as opposed to CBR (Constant Bit Rate) where the bit rate is the same through out the song even at the parts where it is not needed (like silent parts). So what format should I choose? Most users will be satisfied with 128 kbps at 44100 Hz stereo. Please bear in mind that once you convert a song to a lower bit rate, you CANNOT convert it back to a higher bit rate and expect better sound. 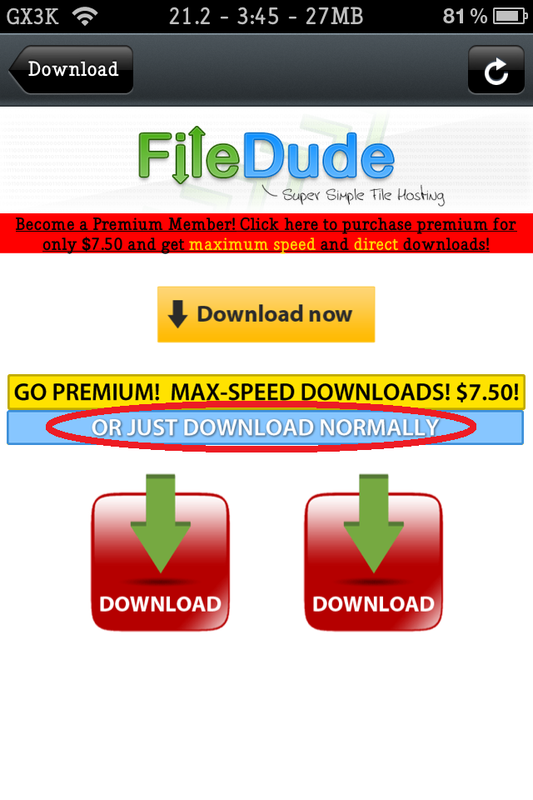 Check the properties of the original file to see the bit rate and do not go over that number when you convert (i.e. if the bit rate of the original is 64kbps, don't convert it to 320 kbps) because it will just result in a bigger file without any benefits. If you are ripping songs from a CD, it is advisable to use lossless formats such as WAV or FLAC to get the best quality sound for back-up to your PC and then convert copies of the songs to MP3 or AAC for your iphone/ipod. If you are having trouble with the volume (i.e. some songs are too soft and other are too loud) you might want to normalize the volume of the songs using a free app called MP3gain (Click here to download). This will allow you to dictate how many decibels you want for every song and is completely reversible. Make all your songs have the same volume. Always remember that you can always turn the bit rate up if you are not satisfied with 96 kbps (AAC) or 128 kbps (MP3) with the consequence of a bigger file. Different genres of music (rock, acoustic, ballad, etc) can benefit with more space for sound detail. Just make sure that the original files is of high quality and free from errors. With file quality and earphones/headphones checked, you can now enjoy the most from your music player of choice. Happy sound tripping!